So we are basically Primary Colors this week! Works for Back to School, right? Well I taught first & second grade, so it's perfect for me! This one was kind of fun! 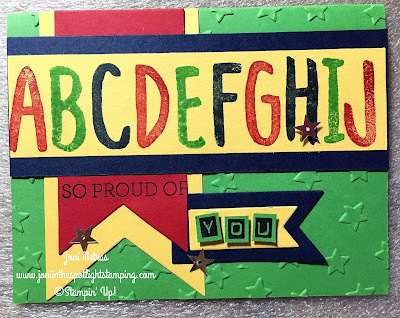 I got to play with my alphabet stamp sets! 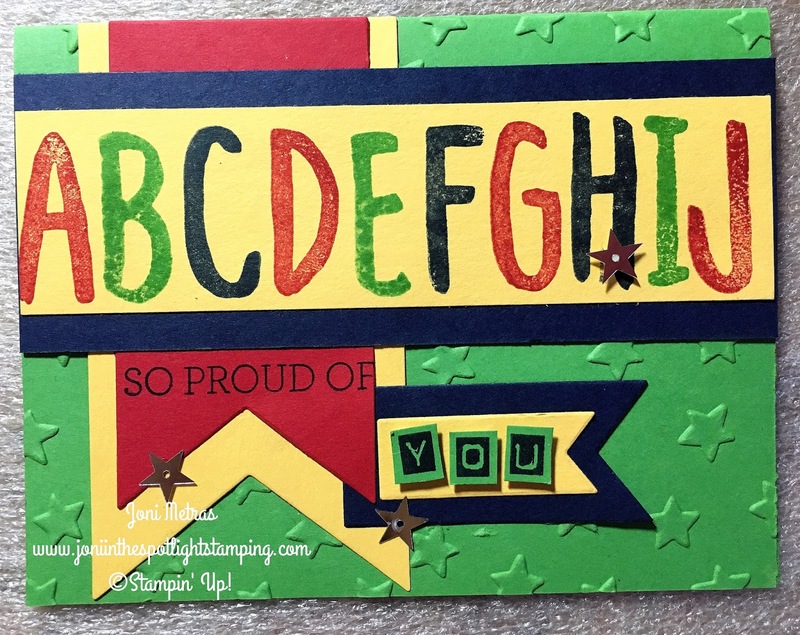 The large letters are from the Layered Letters set-which I love! The smaller letters are from my most used alpha set, Labeler Alphabet. They are both great for cards, but especially the larger ones, are also great for scrapbooking! I use them frequently! Metallic Sequins just happen to come in star shapes also, so BAM! 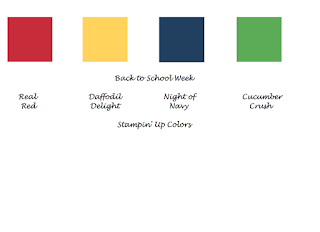 The little sentiment is found in the Crazy About You stamp set! That set's so versatile!!! This is really a great back to school combination. I thought birthday, but the rest of you did a great back to school theme. Good job! COLORING DOWN THE PATRIOTIC LINES!